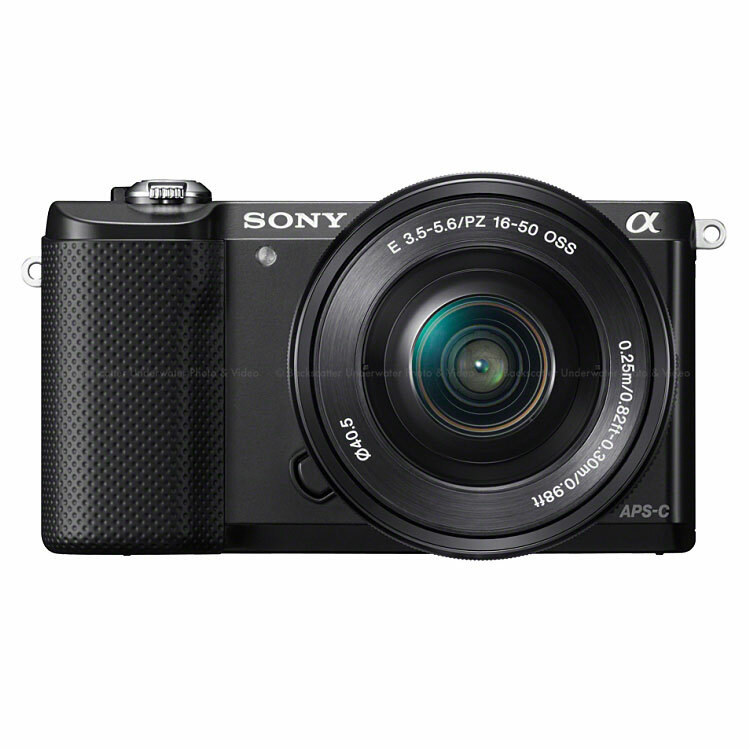 The Sony a5000 delivers the smallest crop censor, mirrorless camera system available for underwater. Compact and lightweight means travel friendly and easy to use. A definite update from the Sony NEX cameras with better features and easier to use menu system makes this a powerful underwater camera system. The ILCE-5000 includes refined capabilities in a pocket-able size that makes it is easy to get beautiful pictures almost anywhere. Features include exceptional image quality from the large APS-C image sensor, fast focusing thanks to a brand new BIONZ X processor and interchangeable lens capability. NFC (Near Field Communication) enables single touch image sharing with compatible mobile devices or direct connection with Android and iOS devices via Wi-Fi. Change your view with a tiltable LCD that flips up 180-degrees without sacrificing compactness. See what you're shooting no matter where the camera is to take stunning self-portraits, perfectly framed low angle shots, and incredibly precise compose pictures. Capture HD Movies in your choice of standard 60i or cinematic 24p frames per second, all at Full HD 1920x1080 resolution. The AVCHD codec delivers stunning Blu-ray picture quality while the PC-friendly MP4 codec lets you compress to smaller 1080/30p files for easier upload to the Internet. Lose the cords and cables the ILCE-5000's Wi-Fi NFC capability lets you instantly connect to smartphones and tablets. Simply download the free PlayMemories Mobile App, touch it to your Android smartphone or tablet, and create a connection that lets you transfer photos, remotely control the camera's shutter release, and instantly receive the captured image via Wi-Fi.